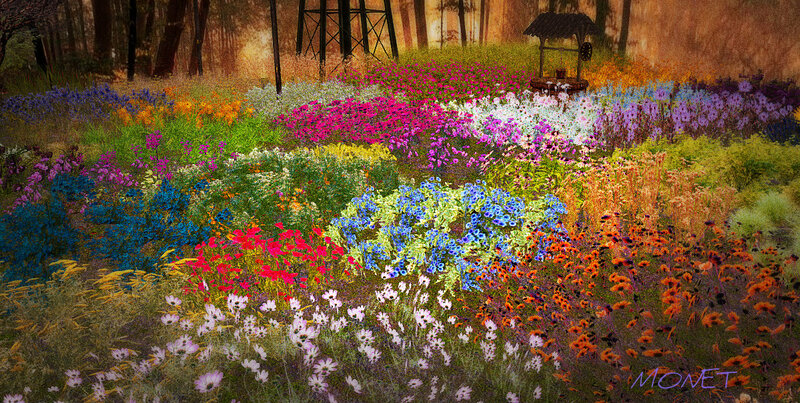 This field of flowers at Serious Business was close to what I think Claude Monet must have seen when he was inspired to paint. The first time I stumbled across this place I was amazed at the colors, contrast and realistic shape of these flowers. The more you group them together the better they look . . .layer upon layer of magic. Most are 1 prim, all are copy and the majority of them are mod. When a creeping wall vine is this gorgeous, can you really complain that it’s taking over the house? 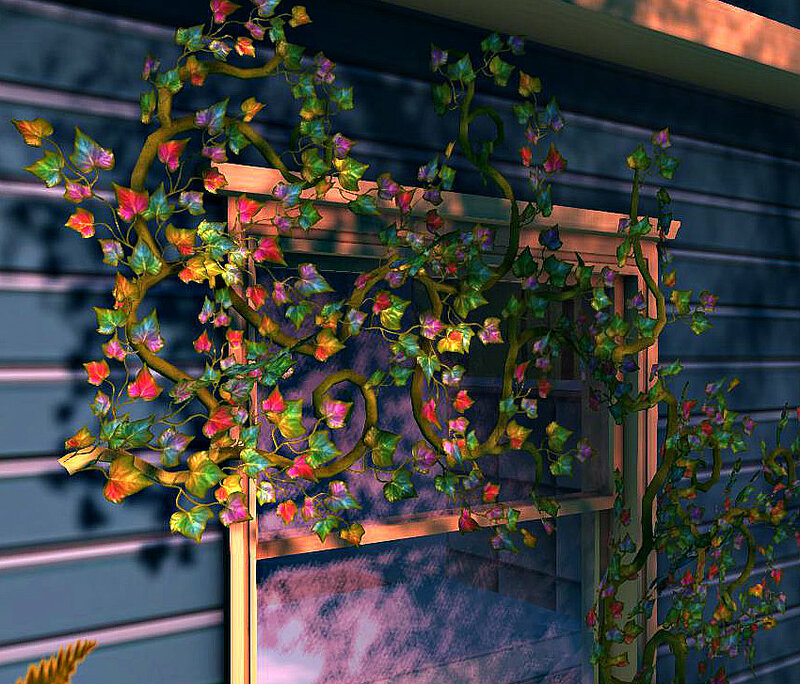 Dysfunctional Design has this great vine – and with several natural shapes and color change options it will grow and look fantastic on the side of a house, wall, or window! There are tons of role play items, plants, gardens (vegetable, fruit, etc. ), trees and household goodies on the sim. I purchased this for the $25L Tuesday’s and that is definitely a steal! I put several shapes together and chose the rainbow option for the leaves…looks so real. The prices here are quite reasonable and everything is very prim conscience. Pack up . . last free weekend before school starts!